With the economy slowly plugging along and credit remaining tight, asset protection is still a hot topic. So what is asset protection, and how can you make an asset protection plan that will work for you and your family? Asset protection means keeping your property safe from being taken by someone who wins a lawsuit against you. It can range from a lawsuit related to a negligent act that you performed, such as causing a car accident, to a lawsuit related to the foreclosure of property for which you have stopped paying the mortgage. How can you protect your assets from lawsuits? It is achieved through the process of asset protection planning, which means taking assets that are subject to creditors' claims, called nonexempt assets, and repositioning them as assets that are out of the reach of creditors' claims, called exempt assets. Asset protection planning cannot begin when a judgment creditor is already on the horizon. Why? Because each state has laws that protect a judgment creditor against people who transfer their assets out of their names with the intent to hinder, delay, or defraud a creditor. In examining your short term and long term financial goals, you will learn about your current and future sources of income, how much money you will need to retire, and how much will be left over to pass on to your heirs through your estate plan after you die. It will then lead you to a detailed financial plan. Once your financial goals have been examined, and your financial plan is in place, you can review your current assets to determine if they are exempt from creditors and, if they are not, then reposition them to become exempt. A financial plan will also allow you to plan for positioning assets that you intend to acquire in the future to be protected from potential creditors. Once you have your financial plan in place, you will know your current net worth and an estimate of how much wealth you can expect to accumulate in the future. From this information, you will be able to create a comprehensive estate plan. This plan will address issues such as who will take care of you and your assets if you become mentally incapacitated, who will take care of your minor children if you die unexpectedly, and who will manage your assets and take care of your spouse or other family members after you die. Your estate plan can also encompass asset protection planning through the use of advanced estate planning techniques such as family limited liability companies and irrevocable trusts for you, your spouse, and your children or other beneficiaries. As I warned above, if you try to start asset protection planning after a lawsuit has been filed against you, or even if before the lawsuit is filed you anticipate it being filed, then you will be exposing any asset protection planning that you attempt to do to attacks and reversal by a judge or jury. 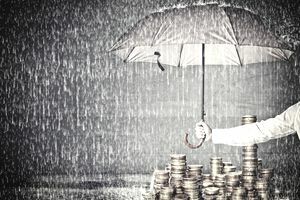 Unfortunately, too many people are learning far too late that asset protection planning is also long-term planning, not something that can be done as a quick or temporary fix. Thus, the time to put your asset protection plan together is long before a lawsuit is on the horizon. Will Your Estate Owe an Estate Tax?